Since the 2003 release of his Universal South pop/rock debut, Happy, Matthew West has been on a fast track to making music history. The project's first single, "More," held the #1 spot on R&R's Christian Adult Contemporary singles chart for a record-breaking nine weeks and went on to be named Christian Song of the Year by ASCAP. Capping off an eventful year, Matthew was nominated in five categories-including New Artist of the Year-at the 2005 GMA Music Awards. Meanwhile, the young singer/songwriter has had his songs recorded by many of the top names in Christian music, and last year, country's Rascal Flatts was added to the list. So when it came time to begin work on his highly anticipated 2005 follow-up recording, there probably could not have been a more apt title than History. With memorable pop melodies and honest lyrics which document the artist's own life journey, History clearly and concisely spells out his road to salvation, redemption and daily desire to follow Christ. "I ended up landing on a real concept for this album instead of just putting a bunch of songs together," the Chicago native relates. "I've always been creatively fueled by the chance to do a whole album that speaks and communicates something from start to finish." 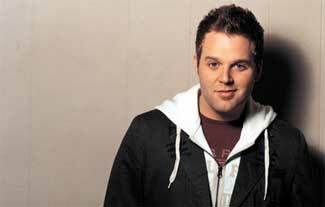 The album's title cut was inspired by a headline in the music industry publication R&R, heralding the radio success of his first album: "Matthew West Makes History." "It's not every day you read a headline like that with your name in it that calls you a history maker," Matthew recounts. "I remember thinking this was one of those moments in my career that I needed to soak up. But I also realized I didn't feel any different than the day before. Through that process, I felt like God was putting fresh inspiration and a new theme in my heart and saying, 'Hey, this is why I've called you to bigger things. This is why you're not meant to be a history maker in the eyes of the world. You're meant to be a history maker in the eyes of eternity.'" West's own history was forged while growing up in a pastor's family in suburban Chicago. An all-around athlete, Matthew actively pursued baseball, dreaming of one day playing in the major leagues, perhaps even for his hometown Chicago Cubs. Those visions changed when his dad gave him a guitar after he graduated from high school, allowing him to begin to experience the power music had to move people. After college, he hit the road as an independent artist, performing at schools and coffeehouses across the country and earning recognition from the National Association of Campus Activities. His gifted songwriting and charismatic stage presence began to draw attention from the music industry, leading to a move to Nashville where he was offered a songwriting contract by Word Publishing. Several years later, Matthew was the first Christian artist signed to the Universal South record label founded by country music industry veterans Tim DuBois and Tony Brown. However, just before signing his contract, West's musical career was nearly sidelined indefinitely due to a severe arm injury. After locking himself out of his house, the self-proclaimed "absent minded artist" accidentally broke through a window, severing a major artery in his left arm. He collapsed in the street, and Matthew remembers hearing some nearby construction workers praying over him in Spanish before being rushed to the hospital. Doctors doubted he would be able to play guitar again. "The experience forced me to surrender my own dreams and ambitions up to God," West recalls. "And so you can imagine my joy when God chose to restore my arm and I was able to play guitar with my hands once again. That's why the Happy project was such a true statement for me at the time and why History is a continuation." Produced by Kenny Greenberg and Jason Houser, with West serving as co-producer, the music of History finds the artist delving into a variety of influences and textures, while still sporting the irresistible guitar-driven pop hooks that marked his first effort. From the gospel-tinged "Get Away," to the soaring strings on the title cut, to the Beatlesesque "Out of Time," to the simple acoustic accompaniment on "The Last Ones," History explores the use of different sounds to frame West's thoughts on life and hope. It is still, however, Matthew's conversational, personal-and sometimes humorous-songwriting style that sets History apart. Each of the 11 cuts has a lyric which unfolds detail like that of a chapter in a book. The project's infectious lead single, "Next Thing You Know," tells the autobiographical story of how West came to know Christ at the wide-eyed age of 13. "I was watching TV and stumbled upon a Billy Graham Crusade as he was giving the invitation," West recalls. "He was talking about a God who could forgive the people of their sins and all they had to do was accept Him into their hearts. I remember my Mom came in and found me watching a preacher on TV and knew something was different. She asked me if I wanted to pray and I accepted Christ into my heart. But beyond my own story, I also want the song to encourage people to find their own story." With a vibrant backdrop of acoustic and electric guitars, the project's title track celebrates how Christ can make history of past sin. Though the weight of guilt can sometimes overburden the weary, West poignantly points out that grace wipes the slate clean and will always allow for a second chance. The powerful ballad "Only Grace" further explores that eternal truth. Though the record is incredibly personal, West reaches beyond his immediate scope on the tender-hearted "The Last Ones." The tune revolves around the story of a 10-year-old girl named Taylor, diagnosed with Down's syndrome. Matthew first met Taylor before a concert in Kansas City, and an immediate connection was fused. "From the moment I met her, I felt like there was something really amazing about this girl," West enthuses. "In the past when I would walk by a child or an adult with Down's syndrome, my first thought was to feel sorry for them because I thought they'd never be like everyone else. But the more I got to know Taylor, I realized that maybe she was feeling sorry for me. She seemed to have something inside that told me she knew something I didn't. She just loved people regardless of where they came from. She didn't care what color they were or what was different about them. She taught me the lesson that history makers come in all shapes and sizes." Another personal milestone set to music on History is the ballad "The Day Before You," which Matthew wrote for his wife Emily and was performed at their wedding. The song has gone on to be recorded by Rascal Flatts for their double-platinum Feels Like Today. Whether on stage, or at home outside Nashville with Emily and their pug Earl "The Girl," Matthew fervently lives out his passion to "make history" by impacting the lives around him. And in spite of all the twists and turns along his journey, West rests in knowing God has a perfect plan for his life. "I'm realizing God is making history with my life, not just with the chances to write a hit song or play in front of thousands of people, but He is shaping my history throughout all the moments of my life," Matthew concludes. "I hope that History can be a reminder to never underestimate God's plan for our lives. Because every moment that we are alive, history is in the making."